"Creating microscopic-scale art gives me migraines but I don't let that stop me. Watching the smiles these pieces bring to people's faces makes me feel all better." "I like to surreptitiously embed subtle scenarios into each piece; hidden messages and meanings, situations and juxtapositions. Viewers feel rewarded when they find something special or meaningful, and instantly feel like they might be in on something others are not. That's precious to me and I try very hard to accomplish this with each piece." "I love giving viewers a tiny artificial world to explore for themselves very much like a miniature stage play frozen in time. The films of Wes Anderson presented a colorful and fantastical theme that rendered itself well to the typically eccentric nature of my miniature sculptures. 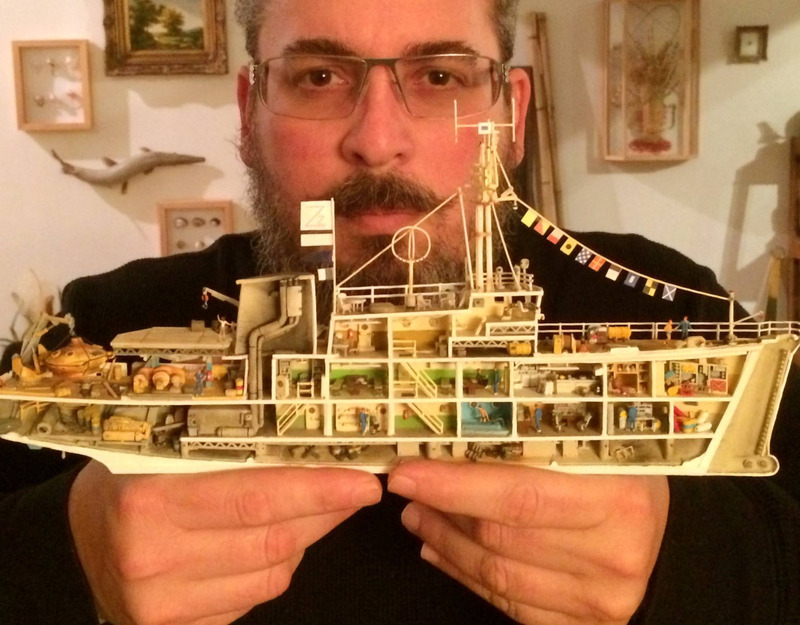 The director has used miniatures in several of his films including The Fantastic Mr. Fox, The Life Aquatic With Steve Zissou, and most recently in The Grand Budapest Hotel. He professes to enjoying the "old-fashioned artificiality and charm" of miniatures and I tend to agree with him wholeheartedly." Vic Delirium is a classically trained sculptor and photographer living in Seattle. His work spans multiple mediums, frequently echoing the gritty, morose, and outright absurd underbelly of the Pacific Northwest. His skills at repair and restoration, as well as his consummate enthusiasm for collecting have yielded a vast, esoteric collection of antiques and oddities earning him a reputation with collectors all over the world. Items from his collection have appeared in countless films and television programs. 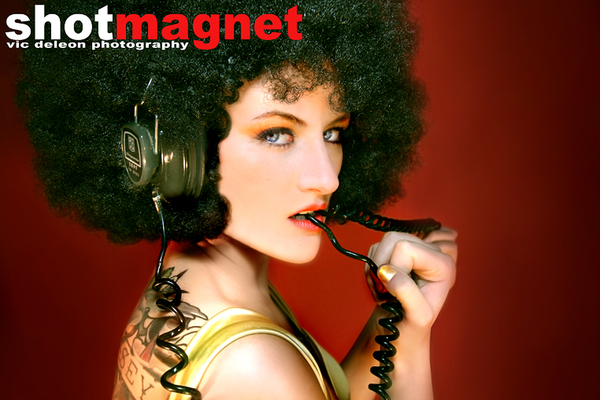 His photographic portraiture as principal for SHOTMAGNET PHOTOGRAPHY has been featured in fashion, fitness and alternative publications worldwide. His work can be seen in Maxim Magazine, Men's Health, and numerous other publications. His most recent photographic works are now available in a beautiful soft and hardcover book. In his spare time Vic sculpts digital environments for videogames. Follow him on Twitter @vicdeleon and Facebook https://www.facebook.com/VicDelirium.